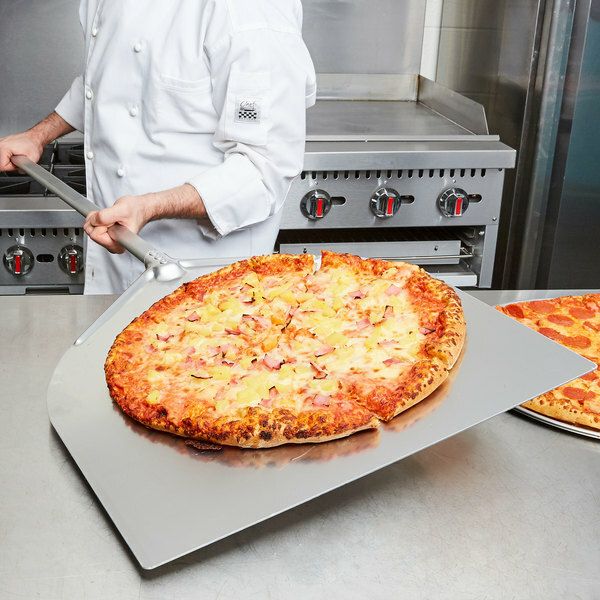 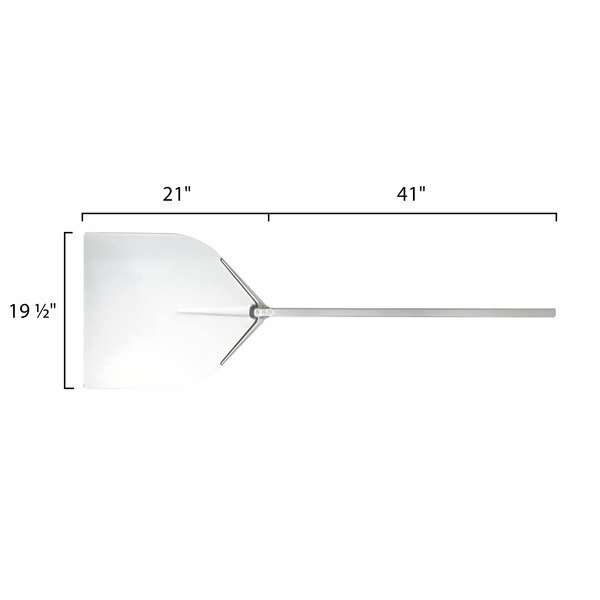 Thanks to its thin 19 1/2" x 21" aluminum blade, this American Metalcraft ITP1938 deluxe all aluminum pizza peel makes it easy to slide extra-large pizzas, Sicilian style square pizzas, or stromboli in and out of your pizza oven. 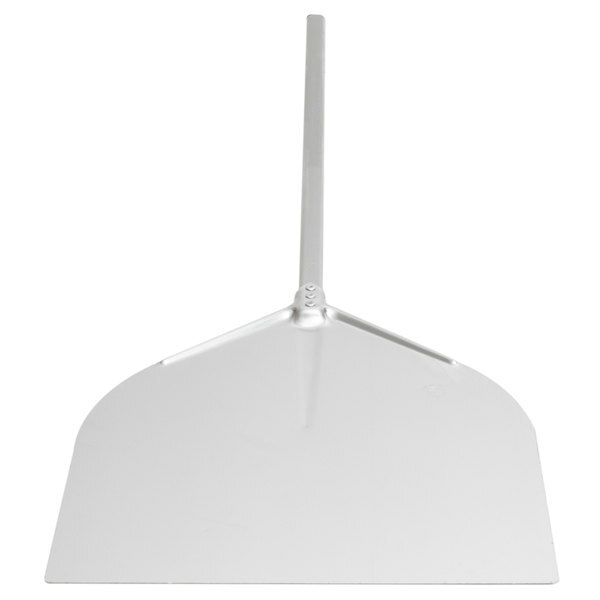 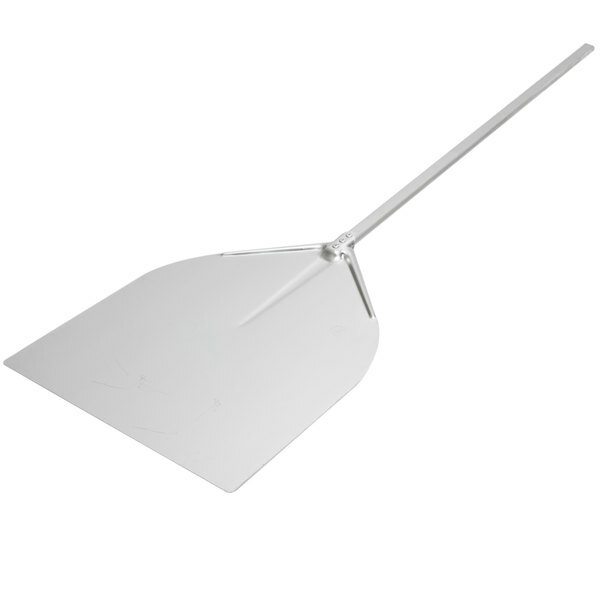 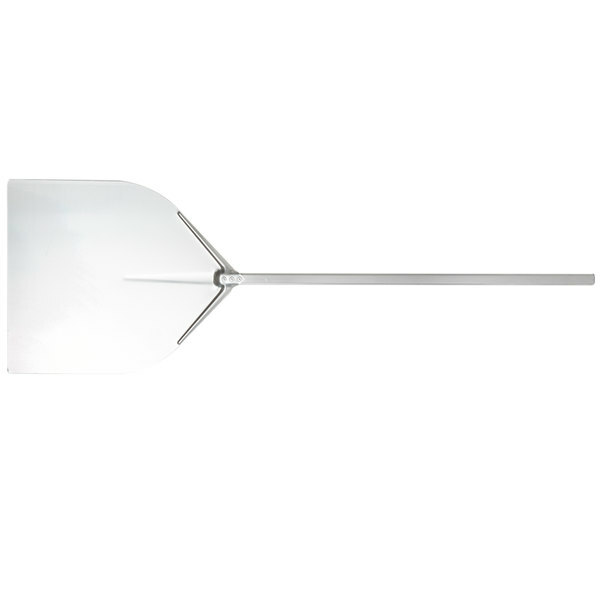 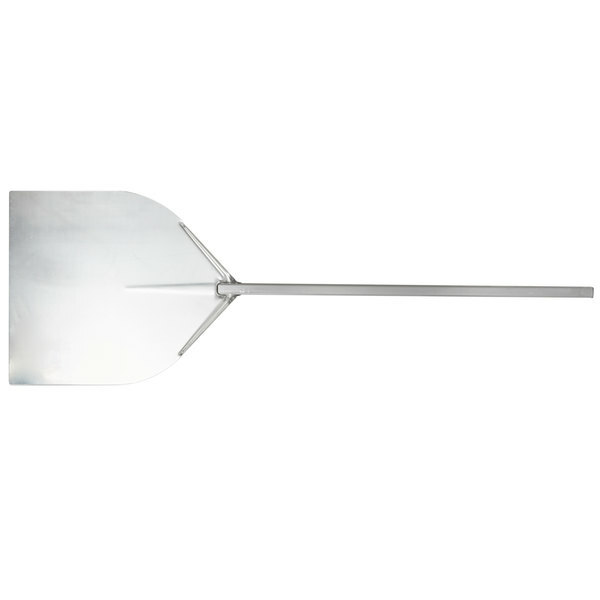 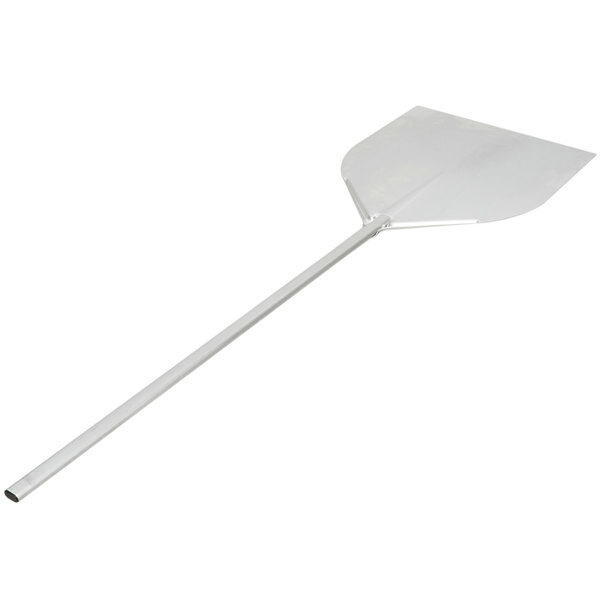 Plus, because its made entirely of aluminum, the deluxe pizza peel is lightweight and easy to clean. 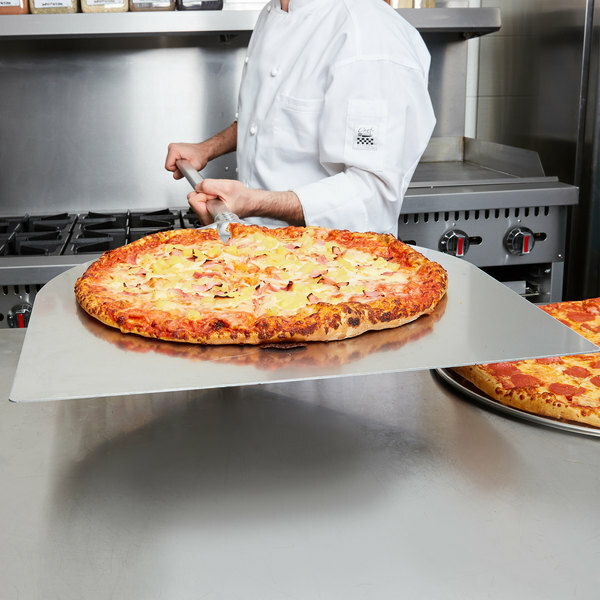 For added stability, the 41" all aluminum handle is triple-riveted to the pizza peel's 14 gauge blade. 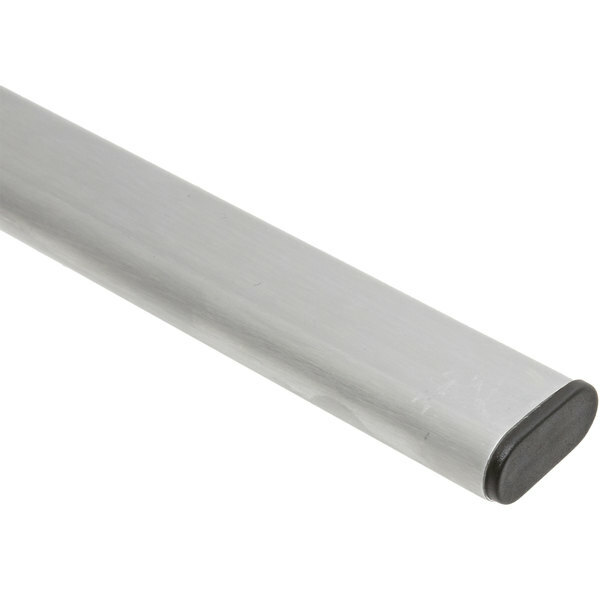 This has been Great! 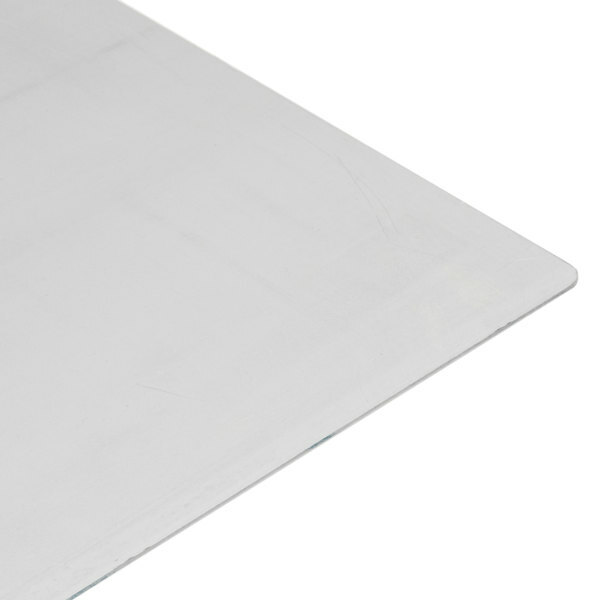 they are easy to clean, and they work better than the composite material we had previously ordered. 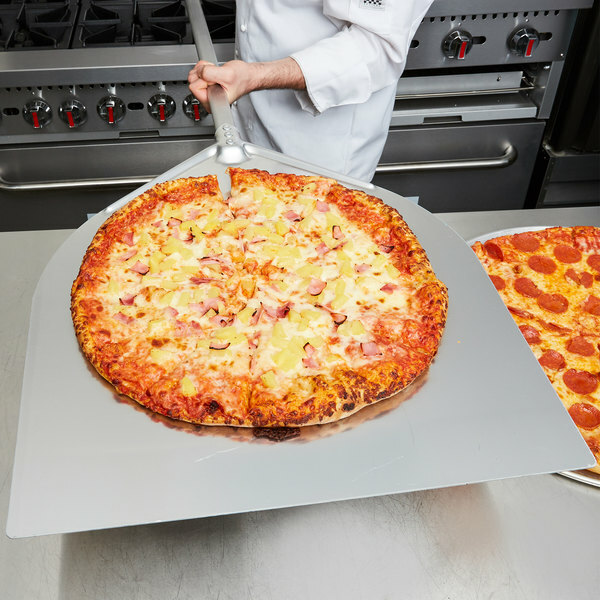 this is much easier to clean without the staining from the pizza sauce. 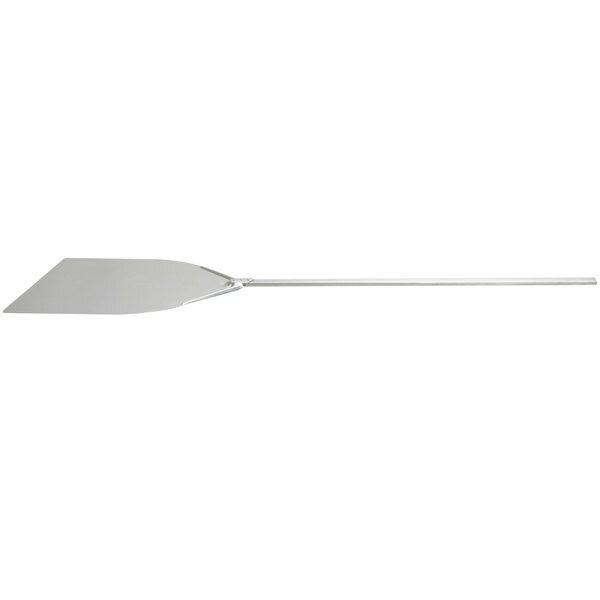 While I usually prefer the feel of a wood handle, this peel is incredibly strong and can lift a loaded pie with ease. 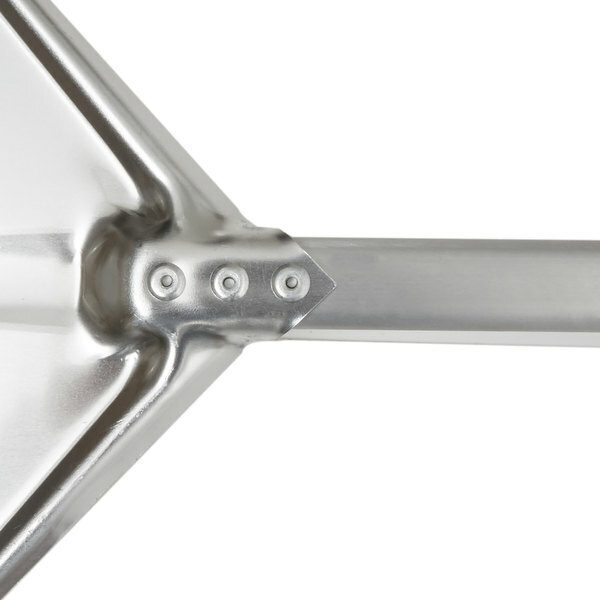 Another great american metal craft product!